Culinary School! Turn your passion into a profession! Do you have the dedication it takes to make cooking your life's work? Consider a career in the culinary arts. Food preparation and food service will be the fastest-growing occupations through 2006 (according to the Bureau of Labor Statistics). Culinary Schools Directory Search and find culinary and cooking schools with this free directory. Find the right culinary school by searching programs or locations. Find programs in culinary arts, baking and pastry arts, catering, restaurant management, and wine training. Culinary Institutes Learn to become a Pastry Artist! Search our directory for culinary programs in the Pastry Arts. Launch or advance your culinary career with culinary programs from a campus or online school. Blue Ribbon Cooking School Premier Seattle-based cooking school offered in a relaxed homey environment for adults and children. Team building, event planning, and corporate events are additional specialties. Cookery course in Tuscany, combine holiday in luxurious This site is about a hands-on one week Italian cookery course given in Tuscany. Coffee Universe Coffee universe is a Web site for the coffee lover as well as those in the coffee business. Coffee Universe is THE comprehensive site for all you want to know about your favorite beverage. Bartending Inside-Out The Guide to Profession, Profit & Fun. A powerful book for bartenders, managers, service personnel and the home enthusiast. Learn about: spirits, beer, kegs, CO2, wine, pouring techniques, responsible and professional service, recipes and more. Pastry Chef Central, Inc. Now you can learn from the finest chefs right in your own home! Visit the internet's premier Baking and Pastry Education Center. 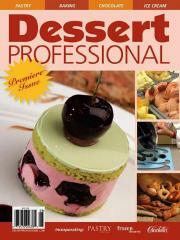 A professional information forum, and home to the "Master Baking and Pastry Videotape Training Series"! MooMilk The dairy industries' website, MooMilk. A dynamic adventure into the dairy industry. Learn all about milk from the cow to the glass and everything in between. Get up to date on milk production and cow and dairy cattle fugures that you need to know. Salmonella and Egg Safety The egg is one of nature's most nutritious, economical and versatile foods. With proper care and handling, it poses no greater risk than any other perishable food.